Origin : S. USA to northern South America. 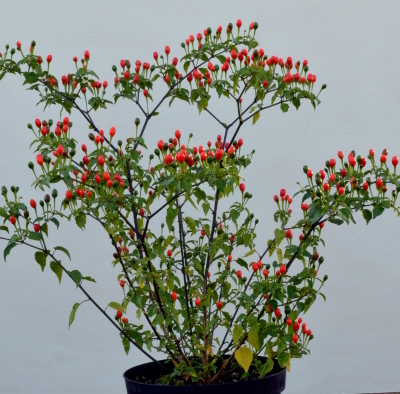 Generally know as chiltepins, these fiery bird chillies are widely distributed from Florida, Arizona and Texas in the north, through Central America and the Caribbean islands, to Colombia in the south. Not surprisingly, plant size and appearence vary significantly over the range. 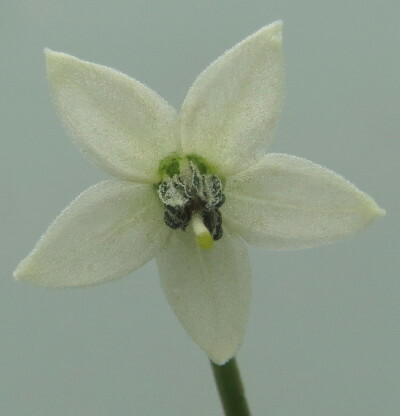 Considered to be the ancestral form of C. annuum, it is of easy cultivation and flowers and fruits prolifically. 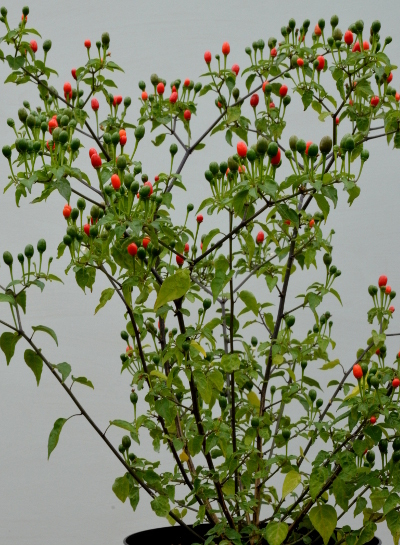 Chiltepins exhibit an immediate sharp pungency at the back of the mouth which fades quickly. The heat then moves to the lips where it lasts much longer. They have a good dry smoky chilli flavour which makes them very versatile either used fresh, or dried and crushed to make chilli flakes.